Judy was raised in Connecticut but made her way west after graduating from the University of Michigan School of Social Work with an MSW and serving for 2 years In VISTA (the domestic Peace Corps) in the 60’s. She lived in San Diego for many years but migrated to Arizona to become a homeowner with land, a garden and various animals including chickens, goats and a horse plus dogs and cat. 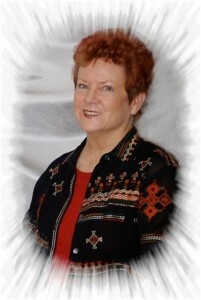 Judy ran a 30 day recovery program for substance abusers in Sedona, AZ for 4 years. That was her last job working for someone else. In 1990 she opened a private counseling practice and became a solopreneur , helping hundreds of women to overcome negative programming and empower themselves to better relationships, jobs, self esteem and family functionality. Her greatest love was helping women to believe in themselves and to do things they didn’t think were possible. Judy was introduced to network marketing in 1996 and instantly loved the concept of working with teams in a “win-win” environment for the common goal of financial freedom. Her first company failed, temporarily ending Judy’s dream of retiring with residual income for life. Now she knows that was just practice for her second company, where she has risen to be in the top 25 distributors and created enough monthly residual income to retire from her counseling career after just 2 years. Judy is still helping to empower women to a better life by believing in themselves and doing things they didn’t think were possible –getting their dreams back and creating financial freedom for themselves and their families through network marketing. Her goals include national and worldwide travel as her company expands internationally to spread the concept of residual income through network marketing to women worldwide. She encourages every woman to dream big, work hard and see the job through to the reward of freedom and a family legacy of generational wealth. Kristi was born and raised in Los Angeles, California, the youngest of three girls in a second generation Chinese family. Kristi was taught growing up that success meant graduating college and getting a good paying job. She graduated with a BS degree in business administrattion and worked in the corporate world in marketing and retail for 20 years. Kristi’s corporate career involved multiple moves to different states, and, 4 1/2 years ago, was again told she was going to be moved–this time to Boise, Idaho. She had a feeling the company was not making the move for the right reasons and walked away from her 20 year career. It was then that she realized she never wanted to work for a company where she had a boss and vowed she would help as many people have choices about being free–from job stress, financial debt, and too much time away from their families. Though her first experience with network marketing was negative, Kristi was re-introduced to network marketing in 2006, while going through a divorce and having her corporate job move out of state. Once she fell in love with her company’s product and service, and the idea of leveraging time, she left the corporate world behind and has never looked back. 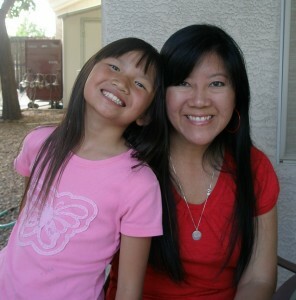 Kristi is enjoying raising her daughter, Jade, and traveling the world while building her business. She has a passion for inspiring women and children to step into their power and share their gifts and talents with the world. Born and raised in Arizona, Karen grew up in the small town of Camp Verde. Karen attended college at Northern Arizona University, marrying her high-school sweetheart Ryan in 1996. 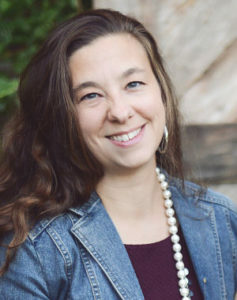 After earning her BA in English MA in Rhetoric, Karen began teaching composition at Grand Canyon University. Karen always knew that she wanted to be able to stay home with her children, so, when her first child was born in 2002, she left her full-time position at GCU and started teaching online composition courses part-time. Over the next few years, she enjoyed being with her children as she continued to teach on and off. However, in 2008, Karen saw her life of being a stay-at-home mom jeopardized by the failing economy. Together with her husband Ryan, Karen decided to take a leap of faith and begin building a network marketing business that would enable her to stay home with her kids and protect their family from the market downturn. For Karen, network marketing is a source of hope in these trying times, not only for herself, but for many other families looking for financial security and freedom. In building her business, Karen learned to dream big, and is now focused on helping other women like herself achieve financial freedom through network marketing. Her passion is to help women find balance between pursuing their passions and being present in their homes.